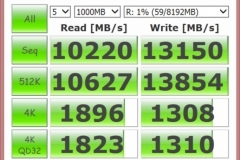 Memory that’s Modder-friendly and fast. What more can you ask for? ADATA surprised us with their XPG V3 DDR3 2133 16GB kit and it’s become our new ‘go-to’ memory for concept builds and the test bench. We recently had the opportunity to test out the XPG SX900 256GB SSD and luckily for us, the kind folks at ADATA also sent across a 16GB (2x8GB) kit of XPG V3 DDR3 2133 PC3-1700 memory kit for our mini ITX build. The first thing we noticed was the two-tone red/black heat spreaders and the high profile of the fins, then we turned the pack over and spotted the second set of heat spreaders in a yellow/gold colour. That’s right, you can undo a couple of screws and slide the coloured central fins out of the heat spreader for easy replacement. We checked with ADATA and yes, you can paint the removable fins. Although we didn’t need to for our mini ITX build, we plan to give this a go at some point in the near future. As it happened, the red fins matched the red heat sinks on our Gigabyte Z97N Gaming 5 motherboard for the concept build and the ASUS Maximus VI Gene test bench. That said, being able to customise the colour of the memory without voiding the warranty or risking component damage is brilliant. You can also get different coloured fins but we haven’t found them locally. The XPG V3 memory modules have a sturdy feel to them, almost heavy and they also feel cold to handle. Build quality from a cosmetic point of view is great and in all of our testing and general use at 2133MHz, we didn’t encounter any issues. The test bench and concept build both used tower heatsinks (air coolers) that drew air across the heat spreader fins. As expected, this kept the memory modules cool. It’s worth noting that the XPG V3 heat spreaders sit about 55mm tall so you need to check your CPU cooler for compatibility – in our testing we used the 92mm Noctua NH-D9L and NH-U9S coolers that are designed not to overhang the memory slots so we didn’t have to worry. In terms of features, aside from the obvious detachable fins in their “Thermal Conductive Technology” (we take that to be heat spreaders / sinks), ADATA has also used an 8 layer PCB with a 2oz copper inner layer designed to provide better signal transfer with reduced electrical resistance and less power consumption. The memory comes in a clear plastic pack with memory on the front and the spare fins on the back. So we have ascertained that the XPG V3 DDR3 from ADATA is easy to work with, easy to modify in terms of the central fin colour, stays cool and runs at the rated 2133MHz speed. The next question is: Does it make much difference over RAM that runs at a lower speed like the 1600MHz Vengeance LP that we typically use? We’re gamers here so rather than run a bunch of memory-centric benchmarks, we ran the usual gambit of synthetic performance benchmarks to see if there was any real difference in the gaming results. We tested on our usual test bench with the ASUS Maximus VI Gene, i5-4670K (not overclocked), ADATA XPG SX900 256GB SSD, Gigabyte GTX 960 G1 Gaming 2G, Corsair HX 850W PSU. 3DMark Skydiver looks like it benefits from the faster memory speed, especially in the physics area. Nothing earth-shattering here either with an average of 2 frames per second lead to 2133MHz but the run at 1600MHz saw a higher minimum FPS reading. We’ll call this one a dead-heat as well. It doesn’t get much closer than the above result for Tomb Raider – which is possibly a credit to the benchmark but doesn’t support the case for faster memory when gaming. The above results show that there really isn’t much difference between 1600MHz and 2133MHz RAM speeds in real-world gaming benchmarks. At best, we could say that there is a slight benefit in physics processing but it’s debatable. Also keep in mind that these benchmarks on an Intel i5-4670K that was not overclocked for testing where we were just testing the effect of different RAM speeds without altering any other settings. 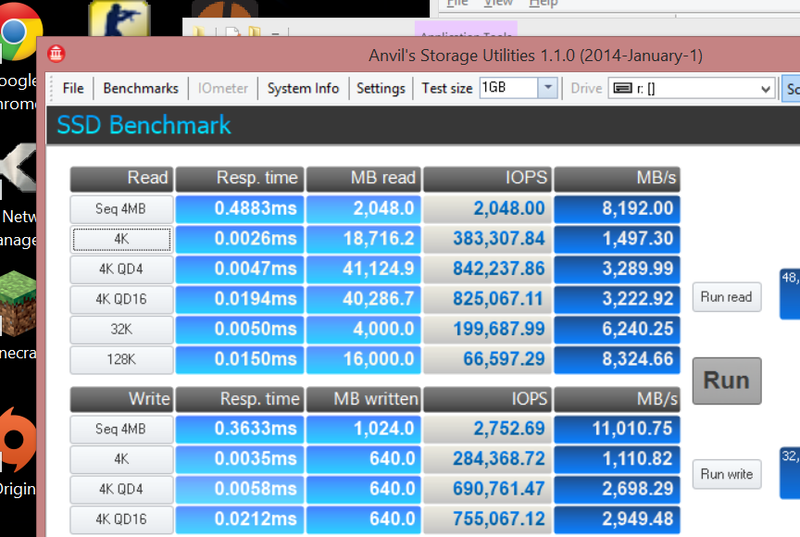 If you had the faster RAM and were a heavier tweaker, you might be able to squeeze out a more tangible result…. maybe. The concept build was a mini ITX system that only had 2 RAM slots so the 16GB kit was a welcome addition over the standard 8GB. The colour matching came out looking really good without the need to do a custom paint job and the kit blended in really well to the red and black themed Core V1 build. 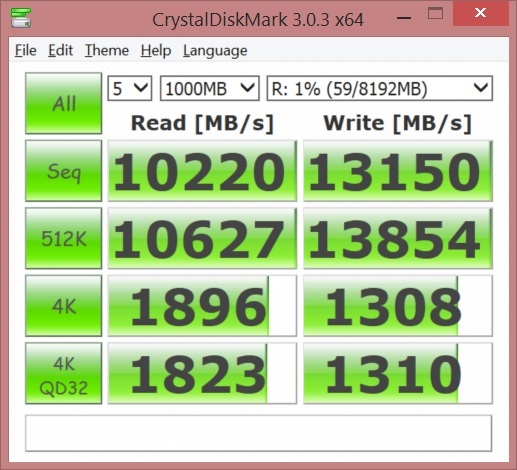 We also ran some tests with a RAMDISK partitioned from the system memory to see what kind of read/write speeds we could get. 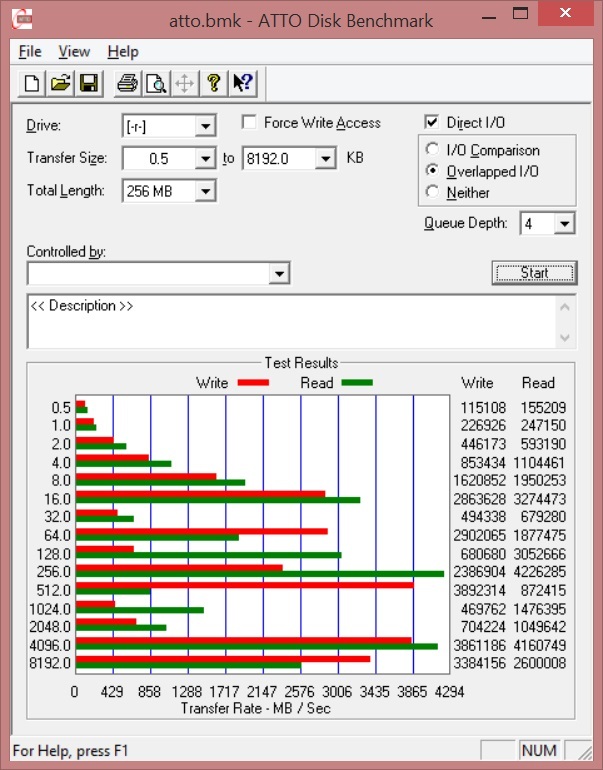 Although impressive and certainly interesting, in real world gaming, we didn’t really notice the difference when compared to a modern day SSD despite the hard data of the synthetic benchmark tests. Performance wise, we didn’t have any issues at all during the testing, concept build or general use over a 2 month period. The XPG V3 kit didn’t miss a beat or have any compatibility issues with either our ASUS Maximus VI Gene test bench or the Gigabyte Z97N Gaming 5 mini ITX concept rig. Although the benefit of 2133MHZ over 1600MHz wasn’t really noticeable in real-world gaming testing, the extra speed won’t hurt either. The key thing for us here was that the memory was rock solid and cool at all times. 16GB could be considered overkill for gaming and in many cases it really is but for longevity, more RAM is a great way to hedge your bets and get more life out of your rig. With 16GB installed, we can switch off the Virtual memory/swap file and or even run a small RAMDISK for temp files or a scratch disk. The pricing is about average at around the $220 mark but the DDR3-2133 kit is hard to find at the time of writing. Given the aesthetic benefits, build quality and performance we saw when using this kit, we would happily use this RAM in any build and we’re really looking forward to starting a project that will see one of the removable fin sets painted for a truly custom look.